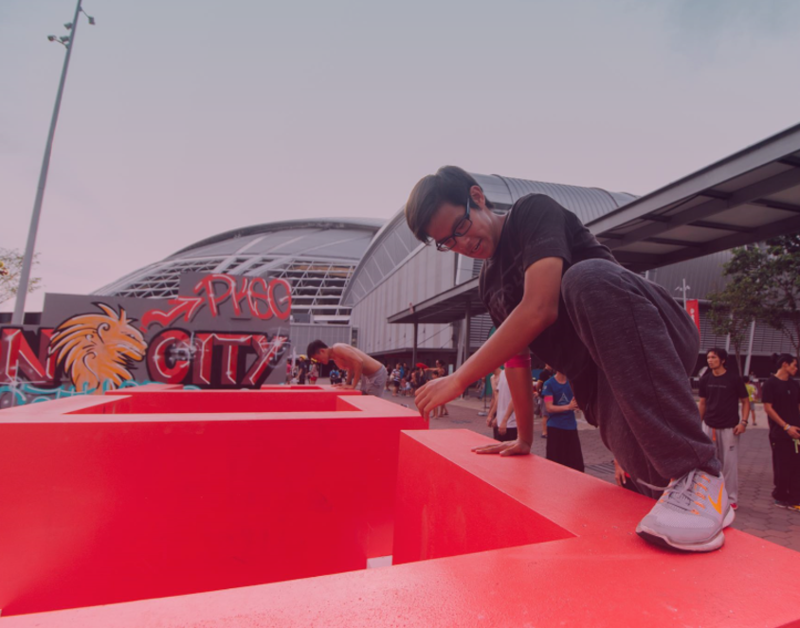 Be fascinated by the enthralling Parkour at actiFIT Asia 2019! It is not just about dare-devil stunts, it is a test of strength, stamina and wit! 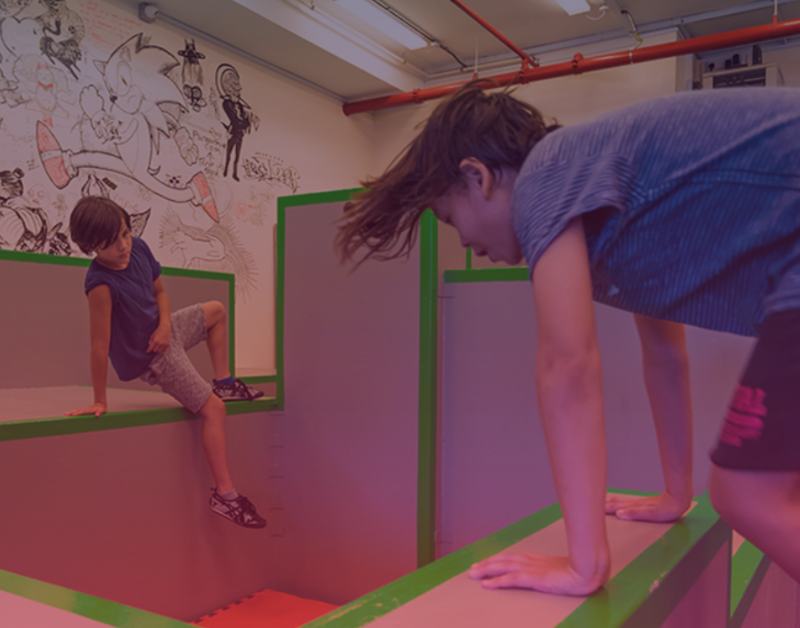 SINGAPORE MOVE is a parkour festival for everyone who wants to move, play, explore and be inspired. Join us in this fun-filled weekend of open sessions, parkour demos, workshops and challenges for all levels from spectators, casual beginners to advanced athletes. Also witness captivating performances by some of the best talents in the region at SINGAPORE PARKOUR CHAMPIONSHIPS 2019 happening on 24 March! Learn the basics of parkour, and rediscover the physical and mental benefits of movement from the best parkour coaches in the region. Different workshops for Kids, Adults and Seniors. 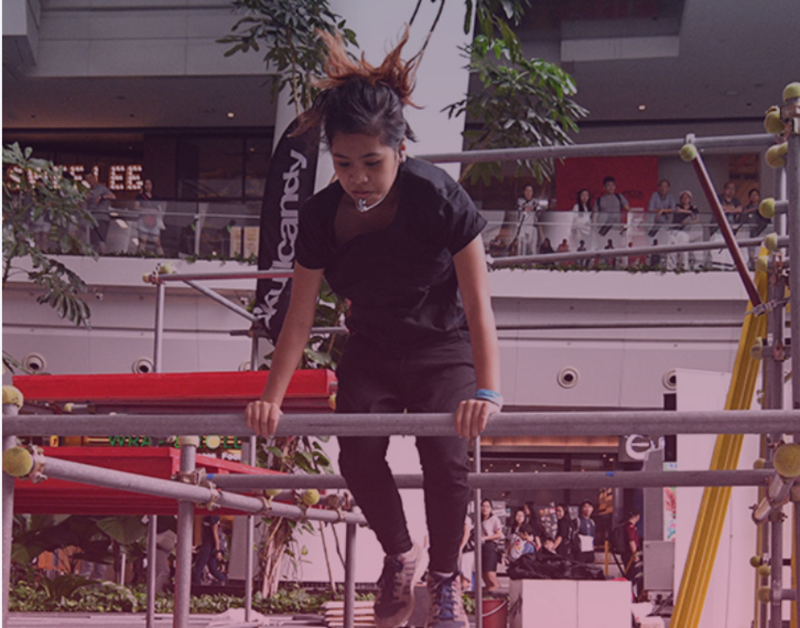 Put your parkour skills to the test and stand to win prizes, or qualify for next year’s Asian Parkour Championships. We have challenges for all levels – from beginners to athletes. Come have a play on our set-up with fellow parkour practitioners. Exchange tips, share ideas and get inspired by the community. Watch our finest athletes display their Parkour prowess on the course. 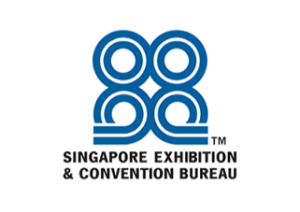 Drop by while you roam and explore actiFIT Asia 2019 Expo. 18:30 – 20:30 | Chase Tag Competition! 11:00 – 19:00 | Competition! A passionate practitioner of 11 years, Chen Pin (CP) has travelled around the world to teach, perform, and participate in different events and competitions – notably in Beast Coast, Freerun Hefei City, North American Parkour Championships. He is also a community leader – with his ambitions in growing the Parkour scene regionally, he masterminded the biggest Parkour event in Asia – Lion City Gathering. With 7 years of coaching experience, he is also proud to be the second person in Asia to have attained the ParkourEDU certification, and aims to share his outlook of Parkour to budding practitioners. 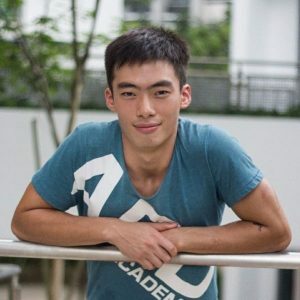 Over the past decade, Nachos began exploring Parkour on his own and moved on to training with some of the best practitioners in Singapore. 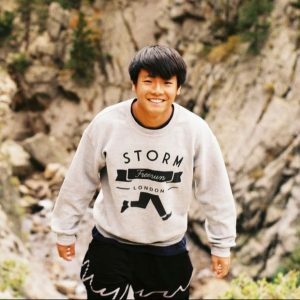 One of his most recent achievements is participating in the AAPES Jump Off 2016 Freerun and Speedrun Challenge, held in Sydney. As the founder of Parkour Singapore, he is always promoting and representing Parkour to all ages. He loves active movements and exploring other activities such as dance, martial arts, tricking, and gymnastics. He currently holds ADAPT Level 1 and 2 certifications. 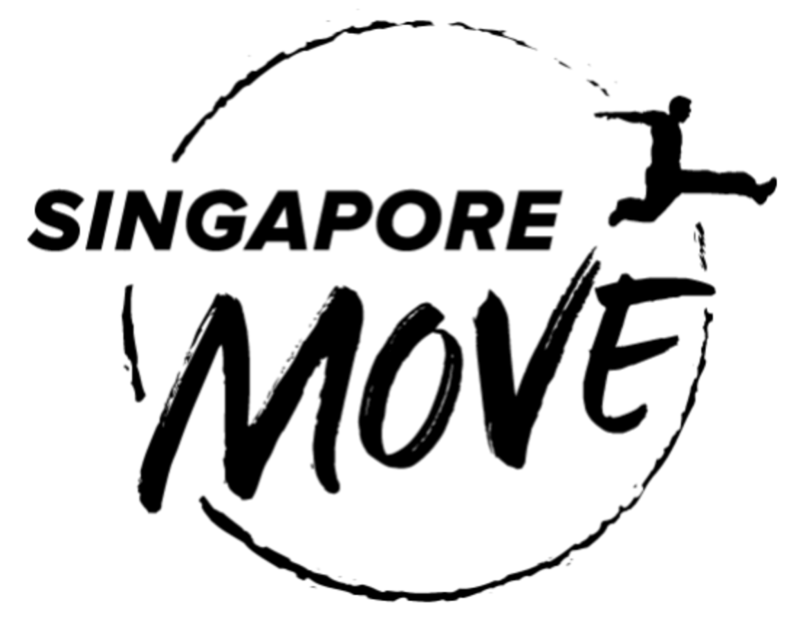 Personally transformed through Art du Déplacement and a devotion for coaching character beyond movement, Shie Boon wishes to preserve and spread the origins of the discipline. He has for 3 years taught students of ages ranging from preschool to seniors, providing him with an understanding of different needs among the age groups. 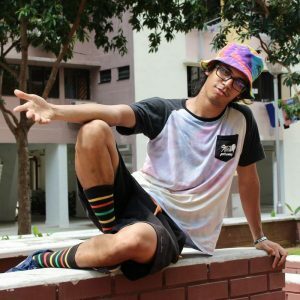 He was featured in The Straits Times for his initiative of helping seniors get active through Art du Déplacement / Parkour. 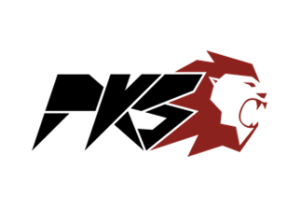 Credentials: Art Du Deplacement and Parkour Teaching (A.D.A.P.T) Level 1 Coach. Certified by Standard First Aid Course by Singapore Red Cross Society (2018).